The promise of God is sturdy and strong. It holds us together when the world is falling apart. It is our help in ages past. It is our hope for years to come. we are waiting for the Lord. Those who lived in a land of deep darkness on them light has shined. We join with sisters and brothers around the world, lighting candles to mark our steps in this Advent journey. Today, we light the candle of Hope. Even though the world seems dark and cold, we know that the light of Christ is coming. The face of our Lord will shine, and we shall be saved! Testifying against all suffering and darkness, we kindle this light. Together, we proclaim to the world that, in Christ, we have hope. too certain to be surprised. Kindle in us a renewed sense of faith. Lift our faces to look for your light. coming in need, Mary’s Child, born in a borrowed room. May the Advent God give you hope. You are invited to the family table. We come to the table hosted by Lord Jesus the Christ. Stay after worship today for an Advent Workshop for Young Families: From 11-12 pm, join us for a time of fun, fellowship, and joyous celebration of Advent. Since this is the first Sunday of Advent, we will work together to create a family Advent calendar that helps us eagerly await the birth of Jesus! Families will also work through stations to create at-home family devotional/art kits for each of the remaining weeks of Advents. Pizza and drinks will be served. Participants in Today’s Service: Pastor: John Hilley; Music Director: Nate Strasser; Musicians: the Choir; Liturgist: Brad Brown. 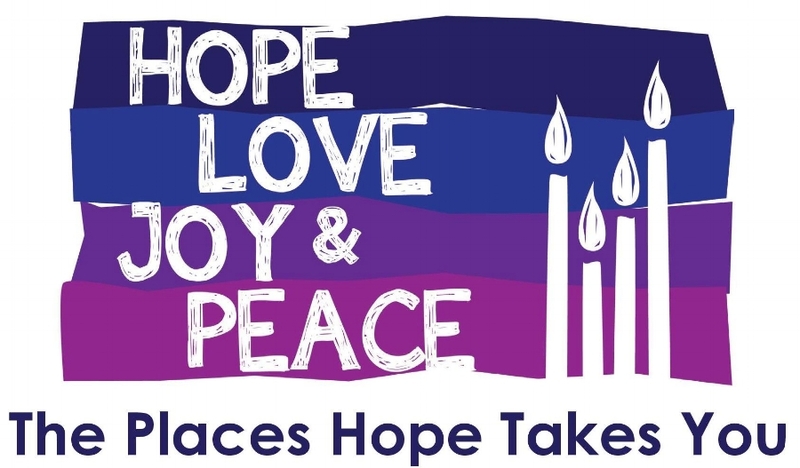 This Week in Children's Worship: Come celebrate the first Sunday in Advent with us as we light the candle of Hope in our Advent Wreath. During Time with Children, help Ms. Lindsey place the animals in the nativity scene as we eagerly await the birth of Jesus. Upstairs we will hear a story of hope from the Gospel of Mark and be reminded that God is always with us - His love lasts forever and ever! This Week in Upwards: Join us as we continue our quest to understand how WE fit into God's BIG story of love. This week we will talk about hope and the ways we can focus on our faith in God when times get tough. Don't miss the chance to exercise your artistic talents as we create magnets that remind us to always be ready and steady in our faith. Help brighten a Glenview Elementary Teacher's holiday! Our EBPC family is making holiday gift bags for teachers at our partner school, Glenview Elementary. Visit the narthex to grab an empty gift bag to stuff with goodies. Directions for filling your bag will be attached to the gift bag. We need 52 bags by December 12! Let's do this! Connection Corner and Collection Center: As you might have noticed, the Sanctuary, Narthex, Office Hallway and Gathering Place are undergoing a transformation. Each time you are in the building, please be sure to check out the Connection Corner board and Mission and Service Collection Center in the Gathering Place for opportunities to volunteer, get involved and give back. You can also use the Sign-Up Genius associated with the various events and projects such as the Hospitality and Worship Support Openings: https://goo.gl/1PzcaY. Advent Devotionals: One way to stay centered during these hectic holiday times is to commit to reading a daily devotional and engaging in quiet prayer and reflection time. Be sure to pick up a free devotional located in the Narthex so that you are ready to begin your reading on Dec. 3.